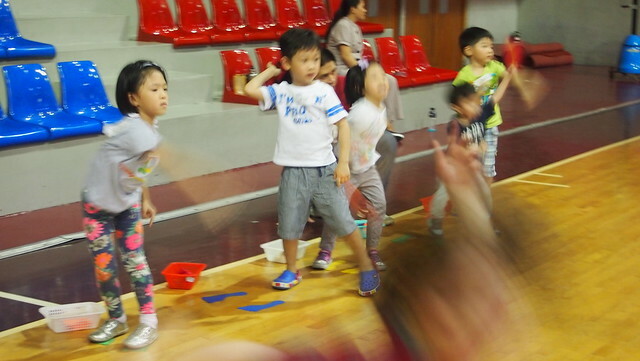 Y's Super Fun Experience With Ready Steady Go Kids Philippines! I was never a sporty person, I learned a few sports when I was young, swimming one summer then badminton for a few years then now, nada. I try to be active and exercise when I can and sometimes I wish I learned this sport or that. 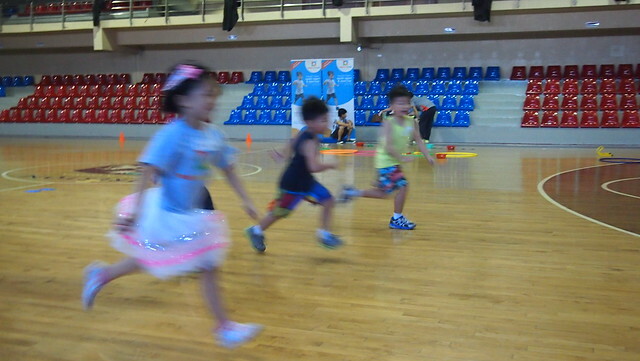 So for my kids, I want them to be active and introduce as many sports as they can until they find what they like and that's what Ready Steady Go Kids is all about. 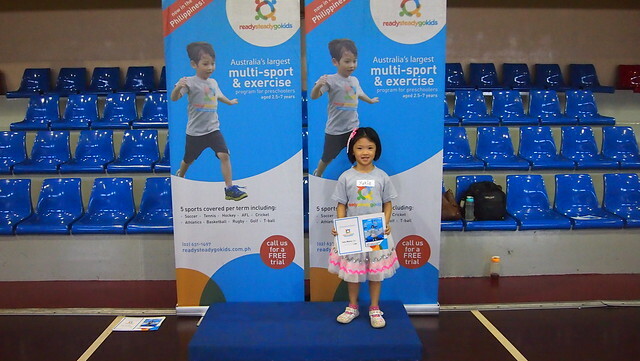 Ready Steady Go Kids (RSGK) is Australia's leading preschool sport and exercise program (aged 2.5 to 7 years old). It has been operating and running classes across Australia since 2004, that's 11 years already! And Ready Steady Go Kids is now in the Philippines! 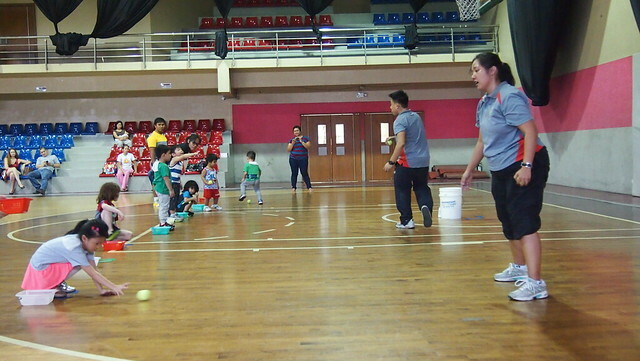 Their high quality, physio-designed program introduces preschoolers to the fundamentals of 10 different sports (soccer, tennis, basketball, hockey, golf, AFL, rugby, athletics, cricket and T-ball) in a fun, non-competitive and team based environment! 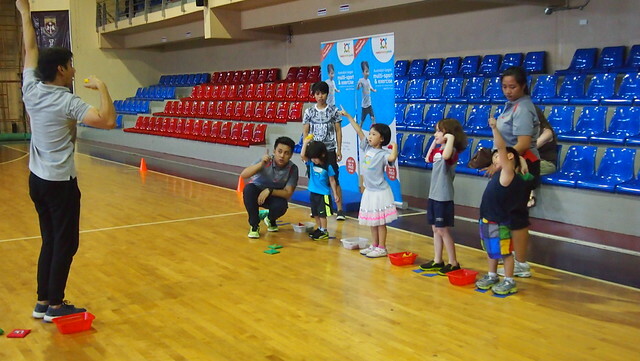 All of their coaches have (as a minimum) a Level 1 Coaching qualification under the National Coaching Accreditation Scheme from the Australian Sports Commission and extensive on the job training to give them experience in conducting lessons for preschoolers. 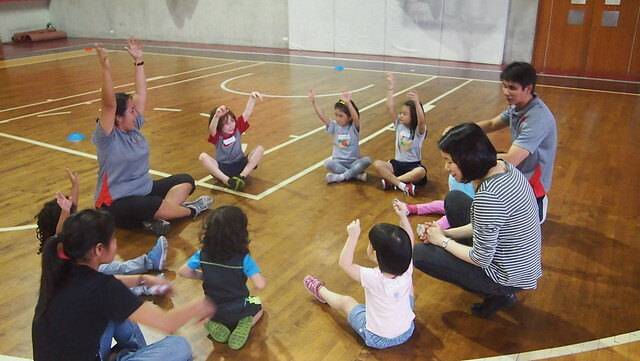 One of the trainers at every lesson is also trained in First Aid for preschoolers. 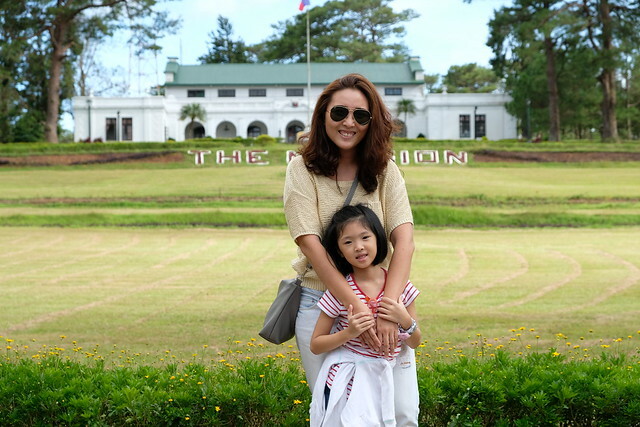 If you are following me on Instagram, you would know by now that Y has graduated from her 1st Term in RSGK Philippines. Yay! And now that it has ended, I can tell you more about it! 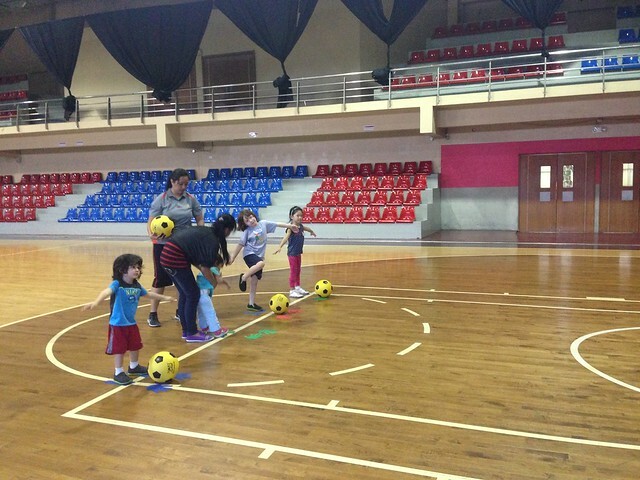 Each term (10 weeks) covers 5 sports and each class is about 45 minutes to 1 hour. Y started around second week of January. Sports covered were soccer, basketball, golf, cricket, and athletics. 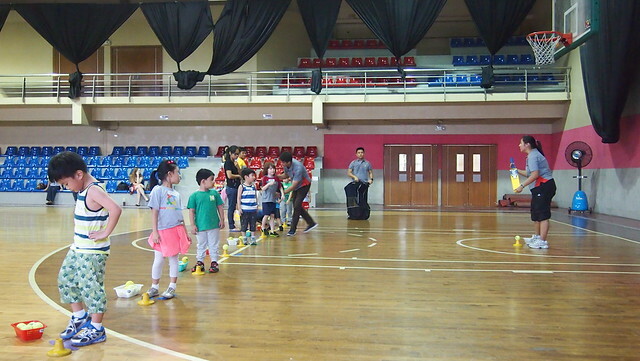 Our classes were held at Treston Internation College's Multi-Purpose Hall, every Fridays from 4:00PM-5:00PM. 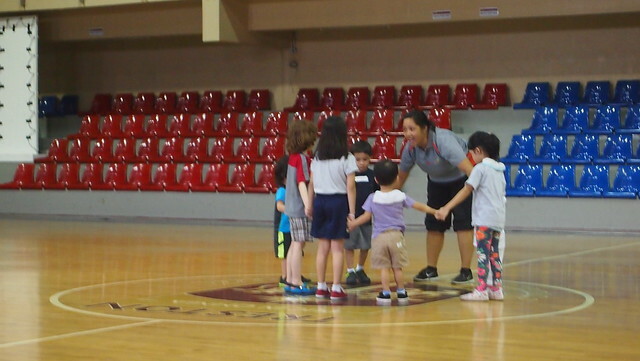 Classes always start with circle time, where Coach Sonny or Coach Pat gather the kids around and sings their "introduction" song for the kids and their classmates. I like their teacher-student ratio. 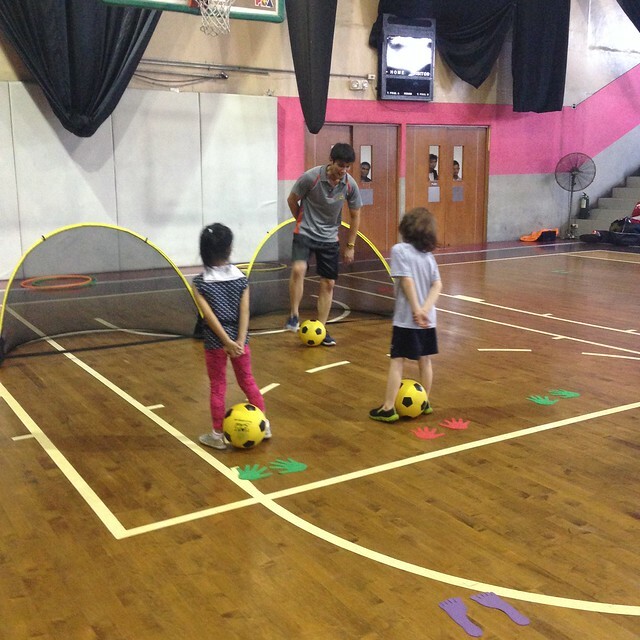 With a small group, the coaches can focus on each student. This was the one time I brought R with us for a trial class. Then they do warm-ups. 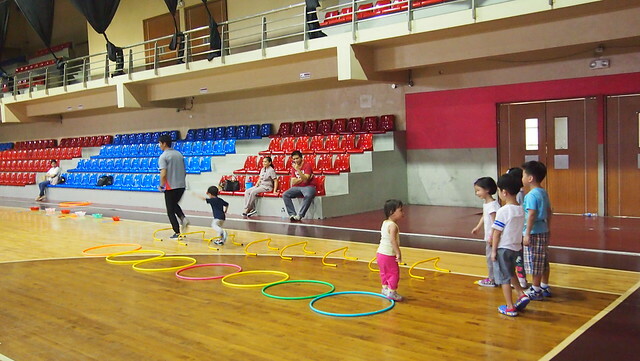 I like that they make warm-ups not only fun but also a learning experience for the kids. Ready, steady, go! And they gallop like a horse! R and Coach Sonny. 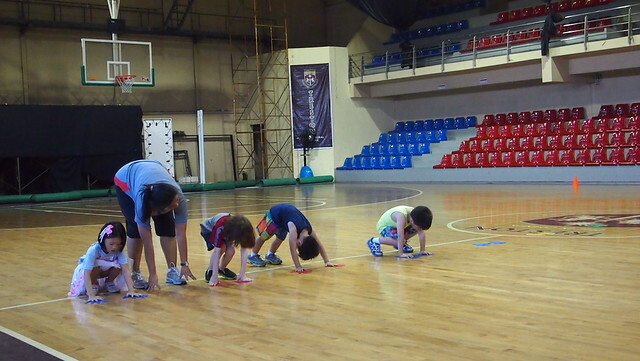 I like that it's non-competitive and they encourage and cheer kids on when they are behind or slow like R haha! After the warm-up, they gather again for circle time to do more stretching! Here, they're reaching for the stars! 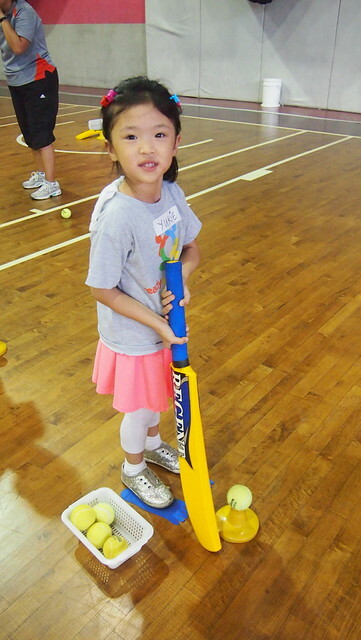 The first sport Y learned was soccer. They teach the basics on how to kick the right way. 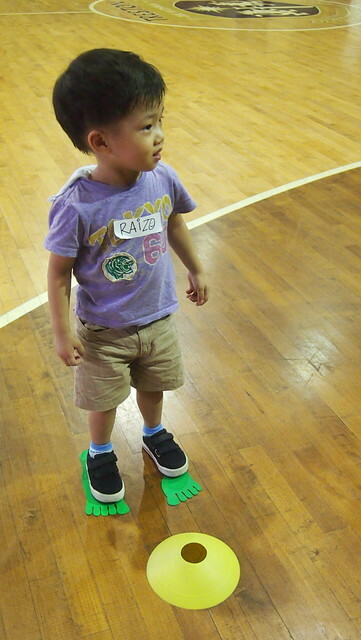 Soccer improves balance and eye-foot coordination. 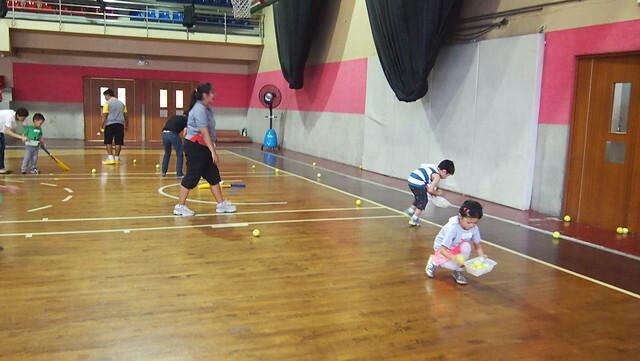 They teach the kids to pick up their own ball after kicking and putting it back on their markers. 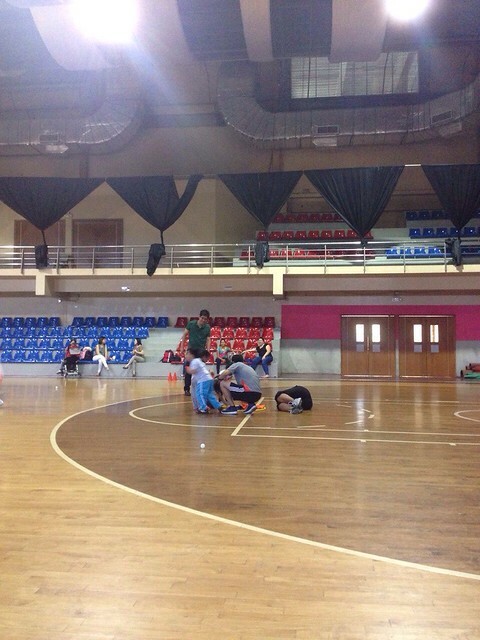 The coaches encourage and cheer them on! 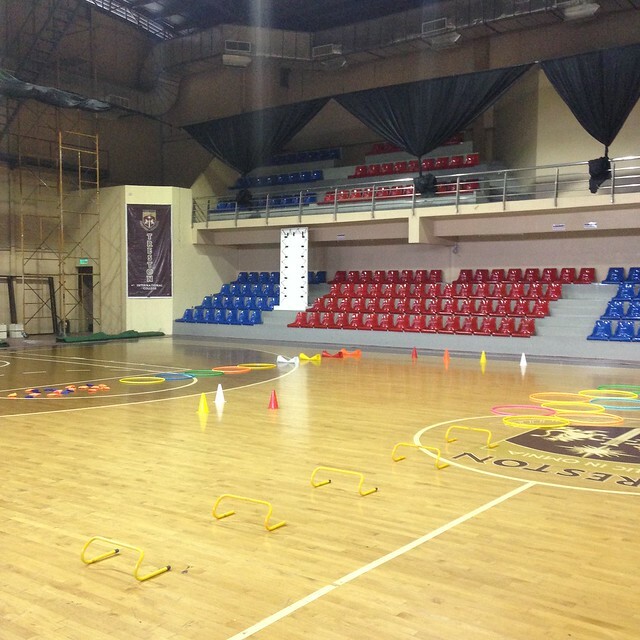 They also do obstacle courses and a fun one at that! During this class, they pretended to be pirates! 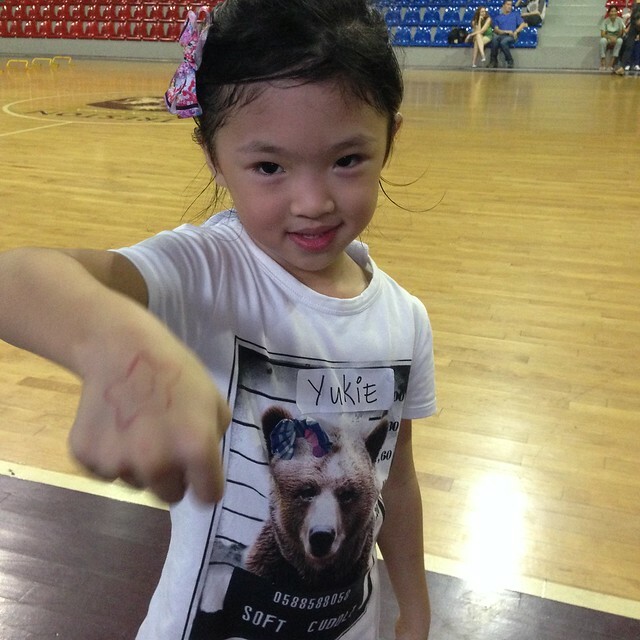 I was happy to see Y engaging and doing everything her coaches tell her. They also go around the obstacle course 2-3 times. 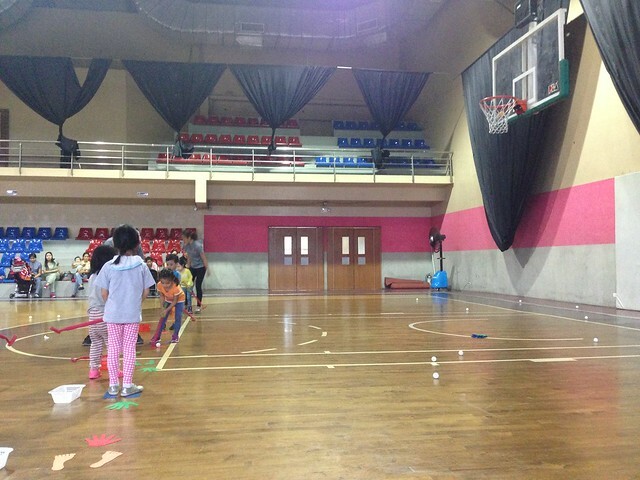 Our second sport was basketball! 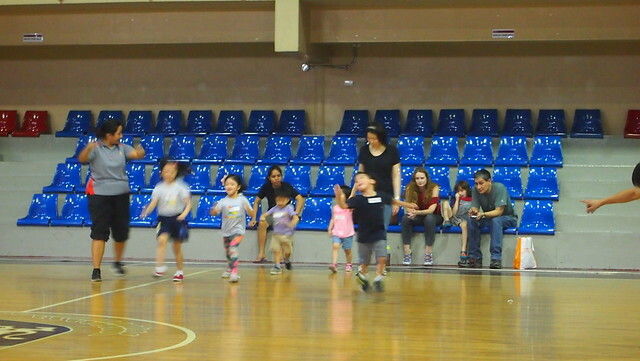 Basketball enhances speed, balance, ability to respond quickly, timing and control. 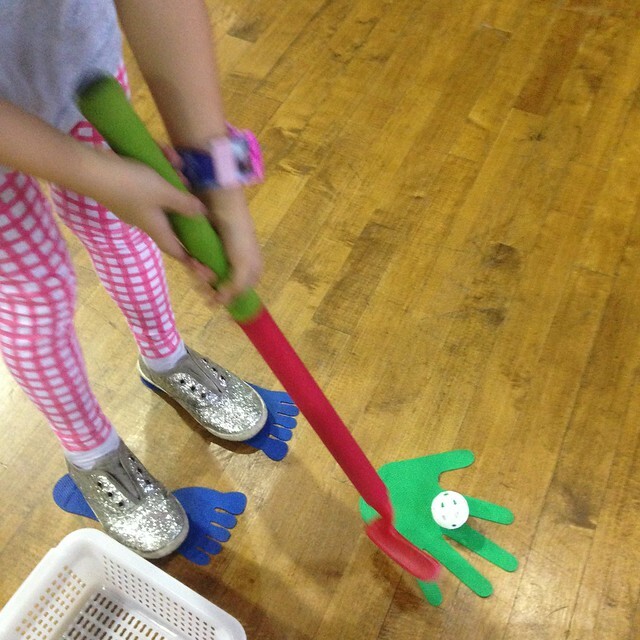 With the kids' little hands, this sport improves their gross motor skills as well as their hand, foot and eye coordination. 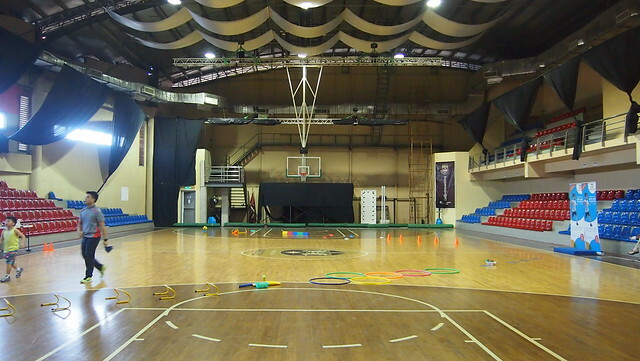 They were taught to dribble, catch, and shoot the ball. Y is a very straight person. She listens to instructions well, no wonder she got the Most Attentive Award in school. Hehe! And just like in school, they get stamps at the end of the class. At the end of each class, Coach Sonny talks to each of the kids and give them a pep talk, which I liked because he encourages Y to do the best. He makes the kids excited for the next week. 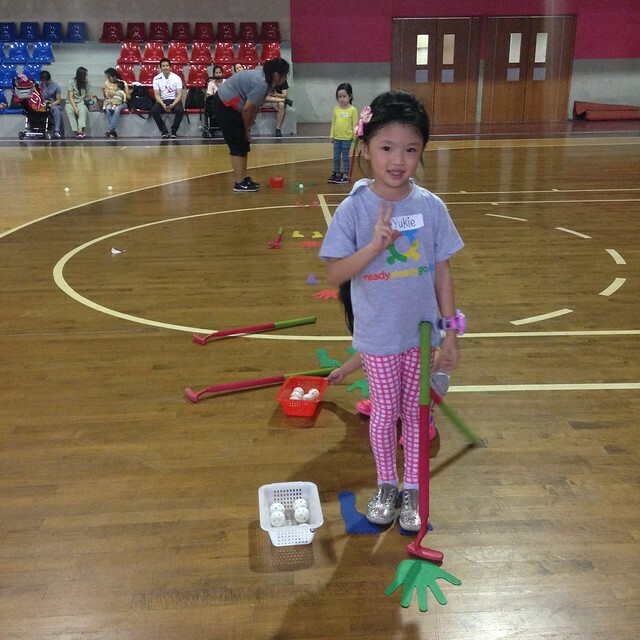 Third sport was golf! RSGK has introduced Y to sports she never knew existed haha! That's one of the reasons why I like this sports program. It's perfect for a non-sporty family like ours. 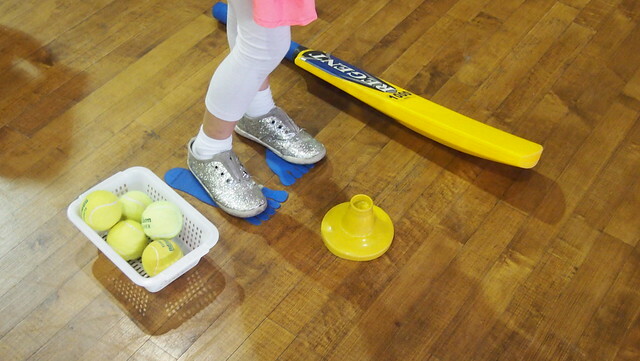 Gold improves limb control, develops a child's ability to generate energy from different muscle groups to strike the ball more forcefully and effectively. It also enhances spatial ability, accuracy, and aim and improves concentration. The kids are also asked to pick up their own balls. They make counting more fun! 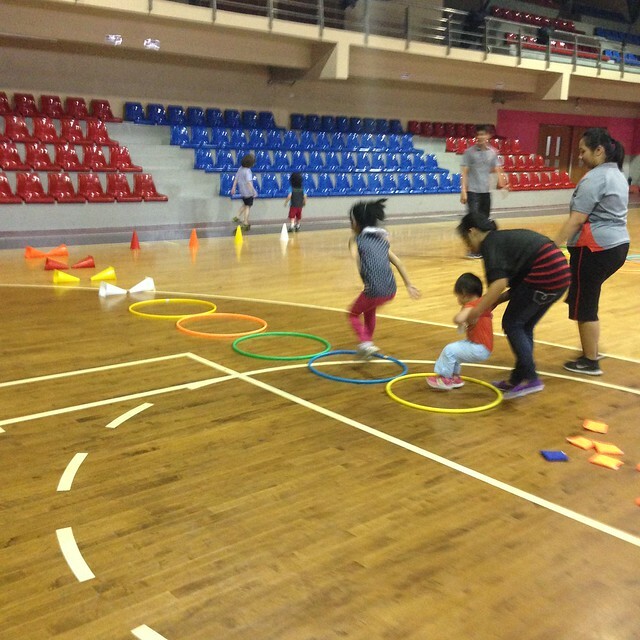 RSGK is not all about sports, sometimes it's also about fun and games! These games test the kids ability to listen and follow instructions/directions and basic concepts of colors, numbers and shapes. Kids getting and returning "cheese" from the mouse. 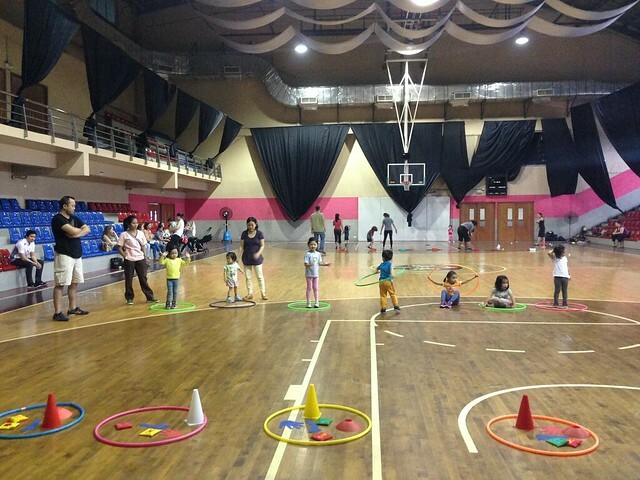 Here, Coach Sonny instructs the kids which item to get from the hula hoop. Get as many balls as you can! Our fourth sport was cricket. Cricket is the national sport of England, also a popular sport in Australia, India and South Africa. It is a bat-and-ball game. 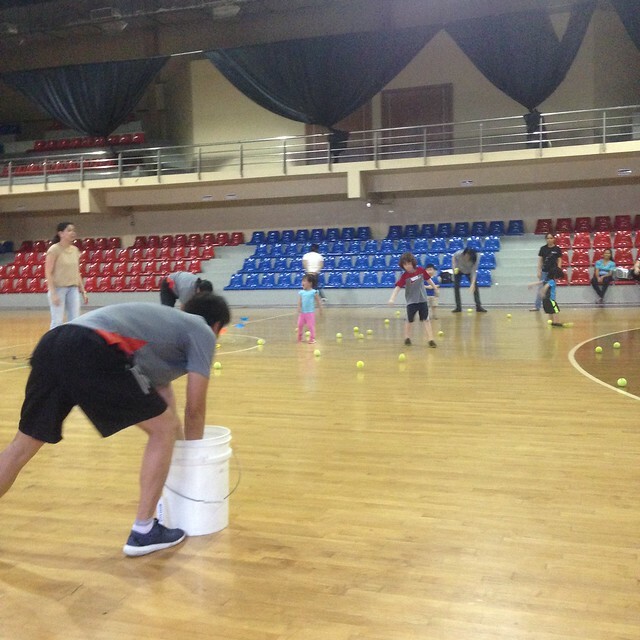 The kids were taught how to pitch, catch and bat! 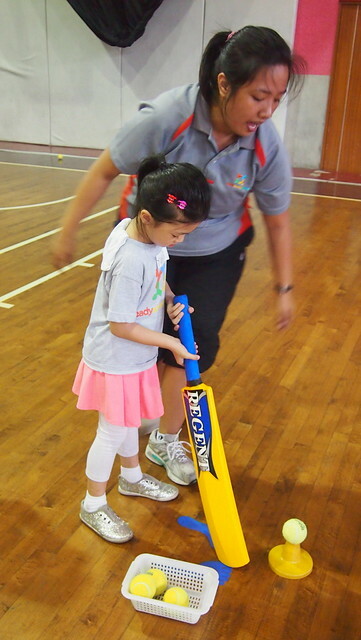 Cricket improves focus, upper and lower body strength, endurance and stamina. It enhances balance, coordination, accuracy and aim. It also promotes teamwork and cooperation. She needed a little help with the bat. It was a bit heavy. 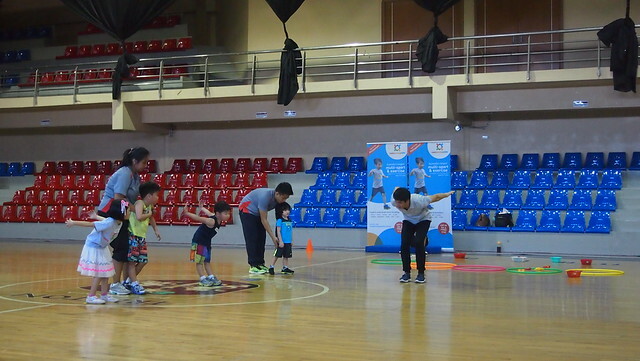 The coaches guide the kids when they need their help. 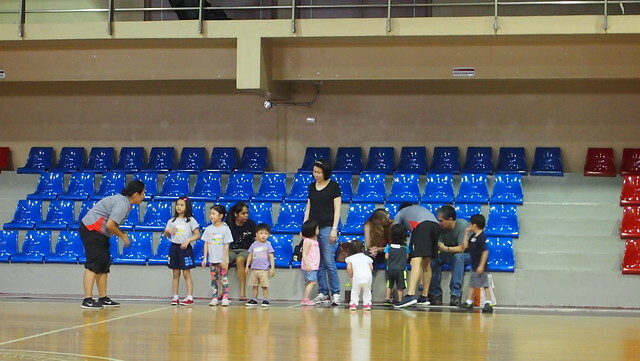 Kids listening intently to Coach Pat. Throw the ball as hard as you can! "Scoop the ball like an ice cream" How cool would that be?! 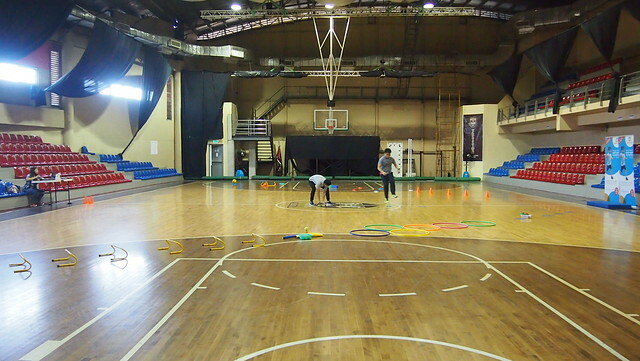 Our fifth and last sport was athletics. 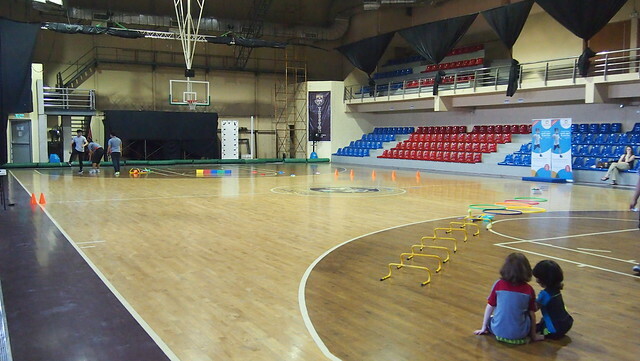 Athletics consists of running, sprinting, shot-put and long jump. 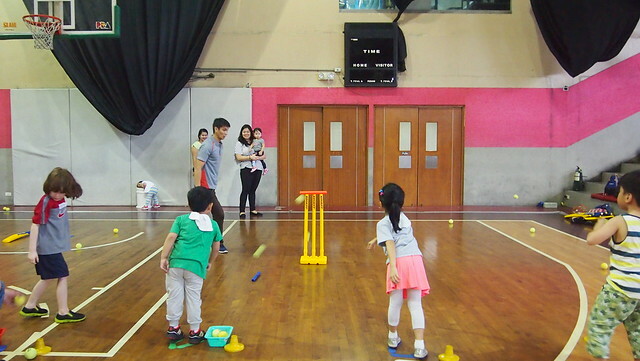 Ready Steady Go Kids introduces the concept of 'sportsmanship through encouraging kids to take turns, play by the rules, provide encouragement and cooperate with peers. Sprint training enhances blood circulation, improves lung capacity, and tones muscles. Shot-put enhances spatial ability, aim, accuracy and limb control. 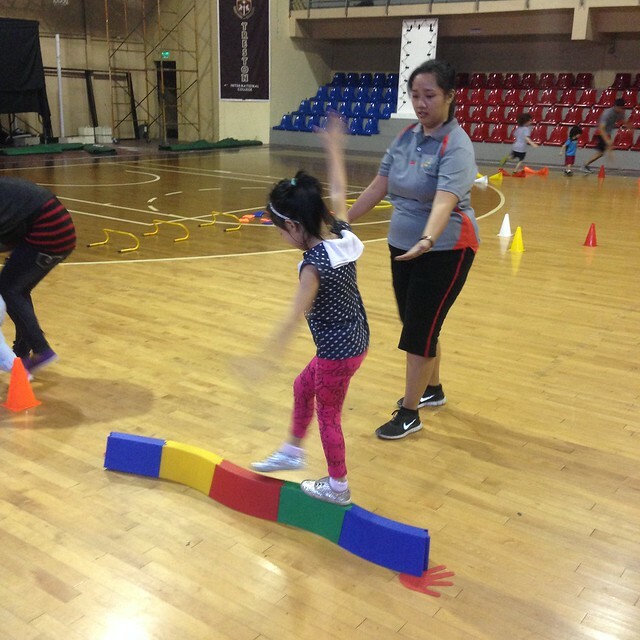 Coach Sonny demonstrates the proper form of how to do the long jump. Long jump training improves flexibility, balance, leg strength and leg power. Running reduces the risk of having lower limb injuries. Running is good for kids! 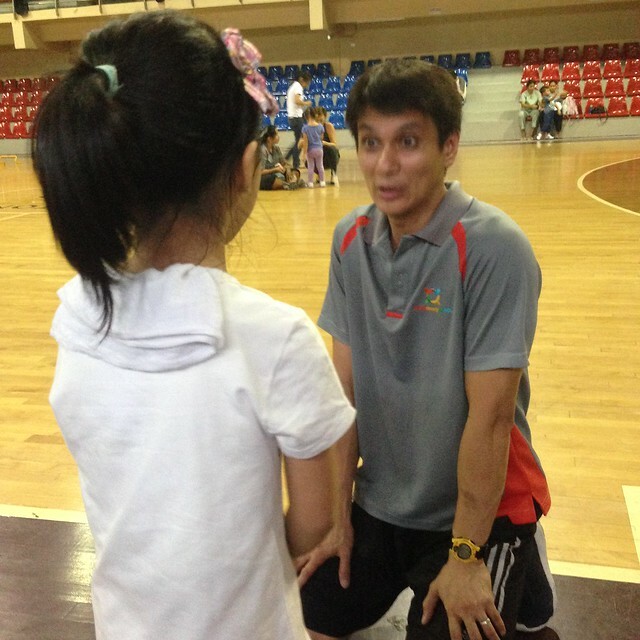 And as always, Coach Sonny tells Y that she did a great job! At the end of the term, the kids get to have their graduation! 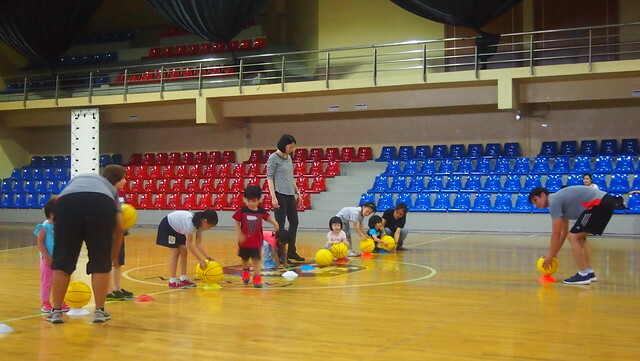 They still have their regular class but at the end of the class, the coaches make a course where the kids get to do the 5 sports they learned for the term and there's a podium in the middle for picture taking! It was so cute! Coaches setting up their graduation course. Heehee! Congratulations Y! You did a great job! 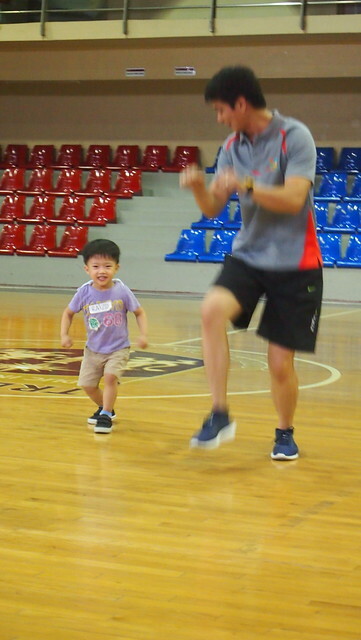 And thank you to Y's coaches: Coach Sonny, Coach Robert, and Coach Pat who were all so patient with the kids and for encouraging them to the best of their abilities! I've seen kids threw tantrums and they've handled them well. 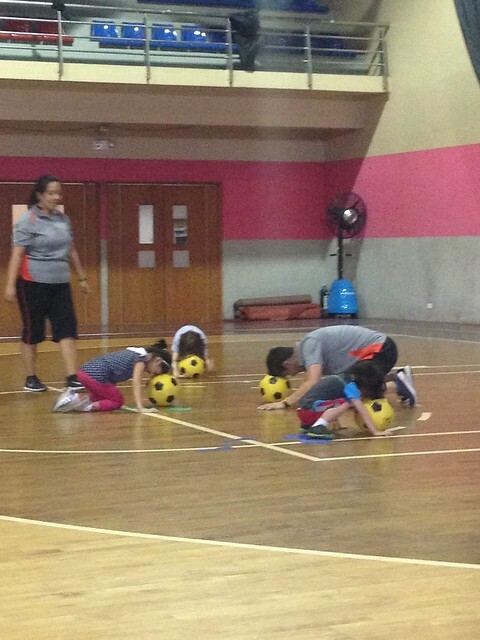 Y always looks forward to her RSGK class because of the coaches! At may pahabol pa! A week before the graduation, Coach Sonny approached me and asked if they can invite Y to be part of RSGK's Media Session live demo. They also invited other kids from other venues to be part of the demo. Of course, I said yes! With photographers pa. Heehee! I wonder this would come out of any magazine because I want a copy! Haha! Thank you RSGK and coaches! 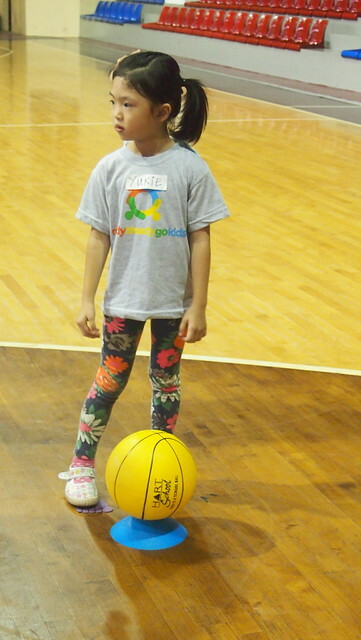 She's now more confident and independent, although she's shy pa din at times, RSGK has helped Y with her eye-hand-foot coordination. 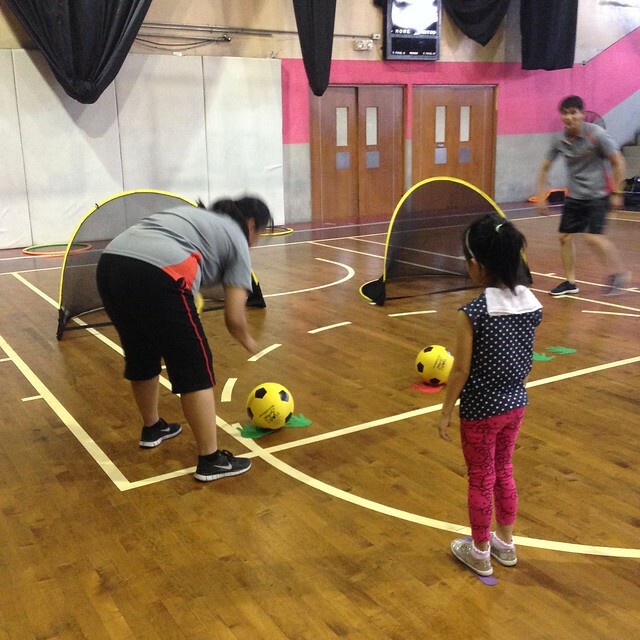 She's more interested in sports now and teaches R what she learned in her 10 weeks with RSGK. 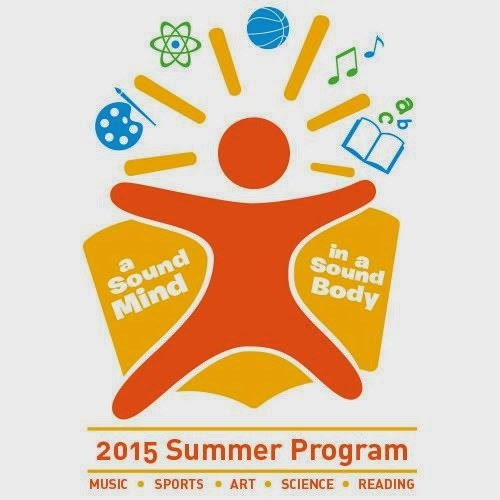 If you are interested in enrolling your kids with Ready, Steady, Go Kids this summer, 2nd Term starts this week and they're also offering a Special Summer Program! 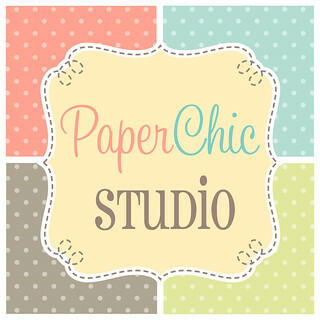 You can enroll for a trial class if you want to try it first. You may call (02) 631-1497 or mobile numbers (0917) 863-0094 for Globe and (0919) 993-6189 Smart to check availability of slots in any of their venues. 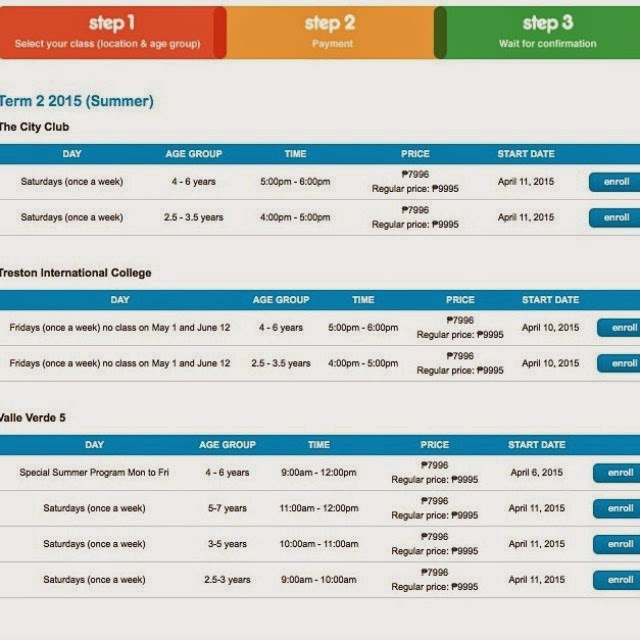 Trial slots will be limited during the summer period. 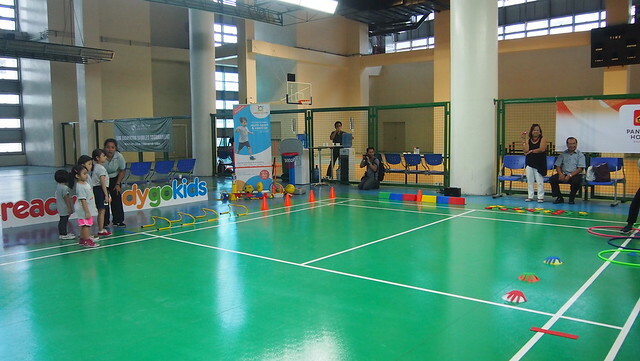 For more information on Ready Steady Go Kids Philippines, please visit http://readysteadygokids.com.ph/.